Seattle department store clerk Jessica Black is a cynical snob, with little tolerance for anyone who doesn’t fit into any of her fashionable social circles. Her cynical comments and ways have left a trail of emotionally scarred friends, co-workers, and even ex-husbands in her wake. After a somewhat forgettable high school reunion, where she reunites with friends, enemies, and everyone in between, Jessica is visited by the mysterious and forgotten Bobby Olsen; a once bullied classmate who disappeared suddenly. The two find an unexpected connection and before she knows it Jessica has discovered a new love in an old friend. But Bobby Olsen is not who he seems. 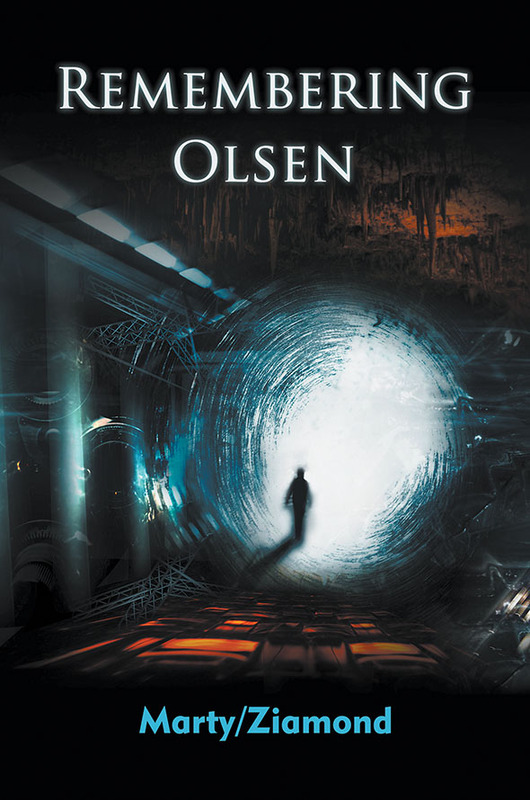 And in the process of Remembering Olsen, Jessica may soon discover why she had forgotten him in the first place. Marty Mcmasters was born in Goldsboro, NC and currently lives in Seattle, WA where he works for a local communications company and manages his own production studio, Ink Jrop® Media. Ferf Ziamond is an NYC native who now lives in Ocala, FL where he works as a project manager and is also a script consultant for Ink Jrop® Media. Remembering Olsen is Marty and Ferf’s first book together and they are already working on their next collaboration, which is set to be titled Kham E. Leon.